Looks like a great way to surf ****. 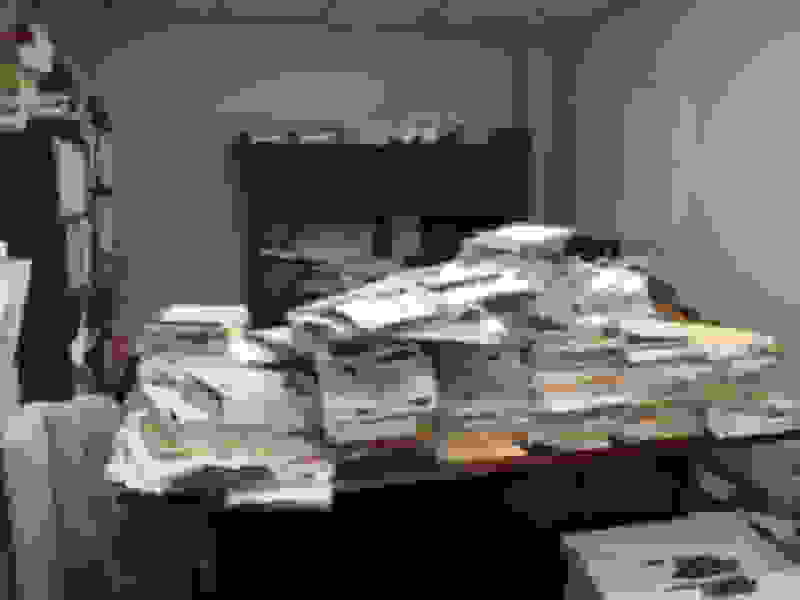 Can't see over the files. I used to work with a guy who's office looked like that. His job title was Scientist and he was one of these people who are extremely intelligent but lacked social skills. Sadly he passed away a few years ago. 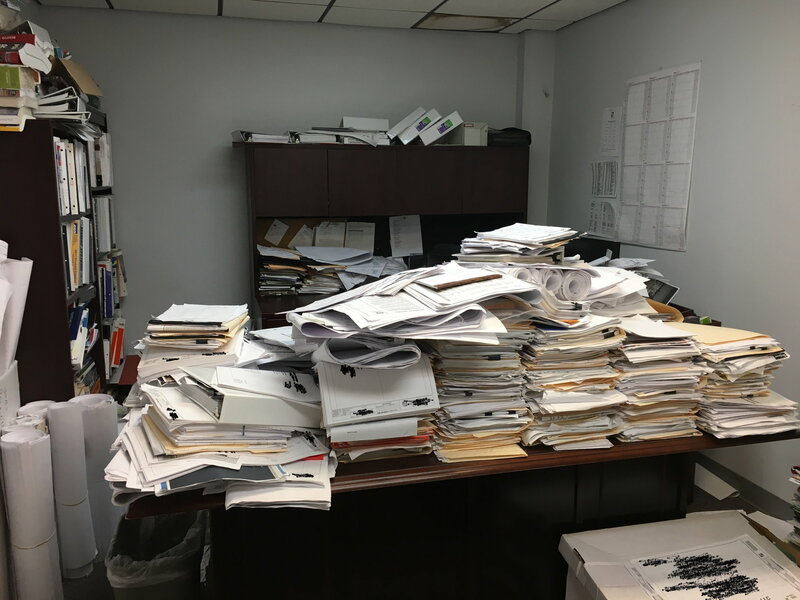 It took someone over two weeks to clean out his office. Anyone work with someone like this? Let me guess, some sort of a "Planner?" ok, what member lives in this house . . .